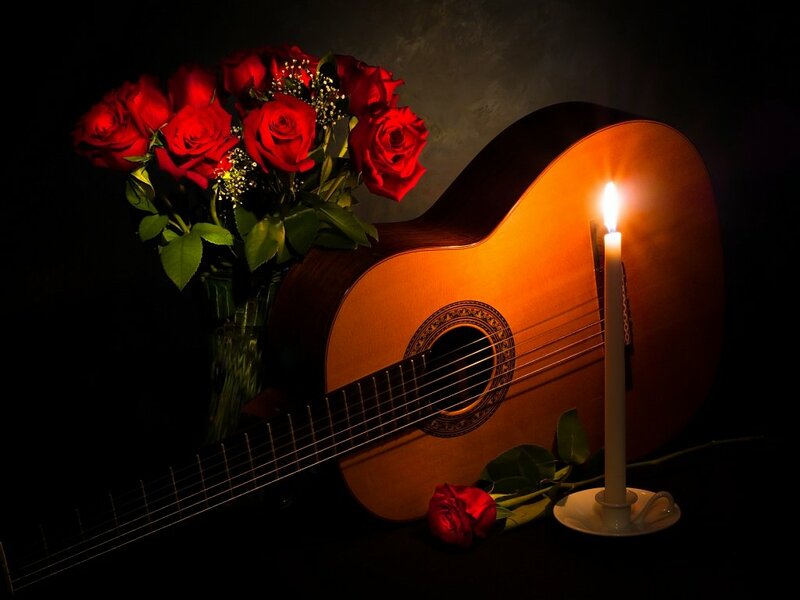 I used my wife's Valentine's Day flowers and my guitar to create this still life. After 33 years the flame is still burning brightly. During the exposure of several seconds I used two small flashlights to add illumination to the flowers and the background.